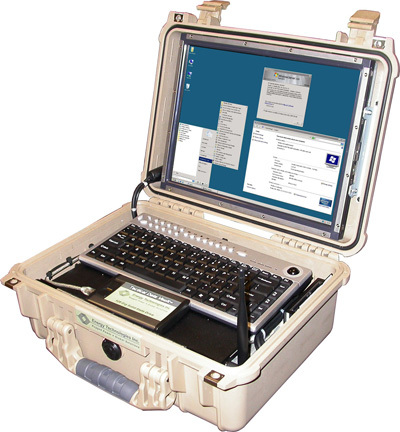 When duty calls but the onslaught of computer and paper work follows you out into the field, ETI’s Tactical Office and Computing solutions will allow you to continue your vital work while in the field. 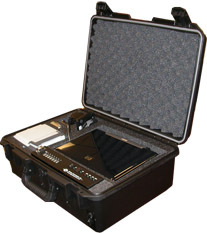 ETI's Tactical Desks are available with built in computers, which are easily installed by replacing a drawer. These computing drawers are shaped to duplicate the drawer format including the side drawer glides and front locking hasp. 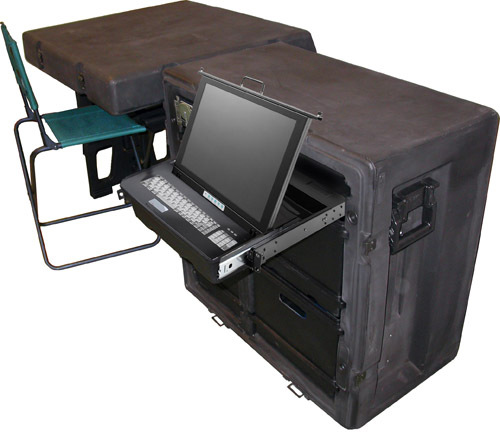 By replacing the drawers, we are able to equip new desks quickly or retrofit your pre-existing Tactical Desks with ETI's tactical computing equipment.